Red Dead Redemption V, a high-profile mod that aimed to put Red Dead Redemption's map inside of Grand Theft Auto V, has come to an end. One of the modders, Mr. Leisurewear, explained in the GTA Forums that the mod team was "contacted" this week after they released a trailer for Red Dead Redemption V (which has been taken offline). "I know this is hard pill to swallow, but as you may have noticed, we did get contacted, and we sadly have to say we are stopping this project," Mr. Leisurewear said (via Kotaku). "So thanks guys, we were all so happy to see this, but it isn't going to happen, sorry." The party that contacted the mod team might have been Take-Two, the rights-owner to the successful Rockstar Games-developed series. It is not uncommon for publishers to step in to stop fan projects. Announced in March, Red Dead Redemption V aimed to bring Red Dead Redemption's map (based on the Xbox 360 edition) into Grand Theft Auto V. A beta was planned to launch this summer. Red Dead Redemption V would have been a single-player game only, and the mod team was looking to the community to help with programming and scripting. 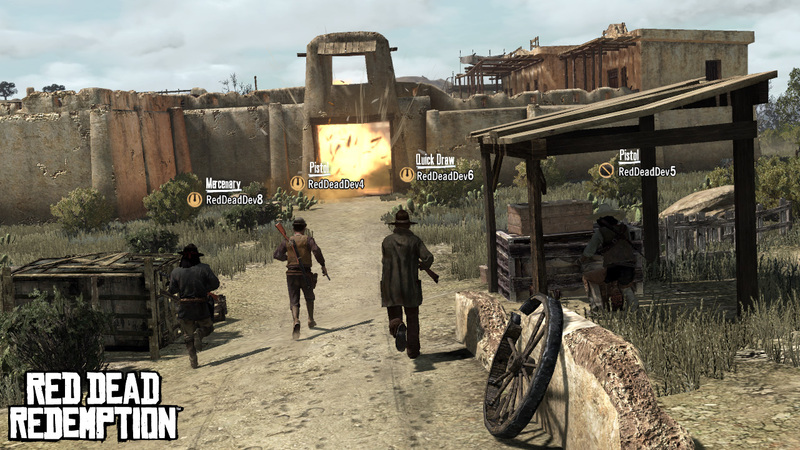 In March, the mod team said about the status of Red Dead Redemption V, "The framework is all there, we are constantly finetuning the methods we use to convert the game." It added: "Out of all the other Rage games released before GTA5, RDR is the toughest one to crack, so please be patient." As for official games, the Red Dead series returns this year with the much-anticipated Red Dead Redemption 2.